Most investors tend to think that hedge funds and other asset managers are worthless, as they cannot beat even simple index fund portfolios. In fact, most people expect hedge funds to compete with and outperform the bull market that we have witnessed over the past few years. However, hedge funds are generally partially hedged and aim at delivering attractive risk-adjusted returns rather than following the ups and downs of equity markets hoping that they will outperform the broader market. Our research shows that hedge funds do have great stock picking skills, so let’s take a glance at the smart money sentiment towards Simon Property Group Inc (NYSE:SPG) . Simon Property Group Inc (NYSE:SPG) has experienced a decrease in hedge fund sentiment in recent months. 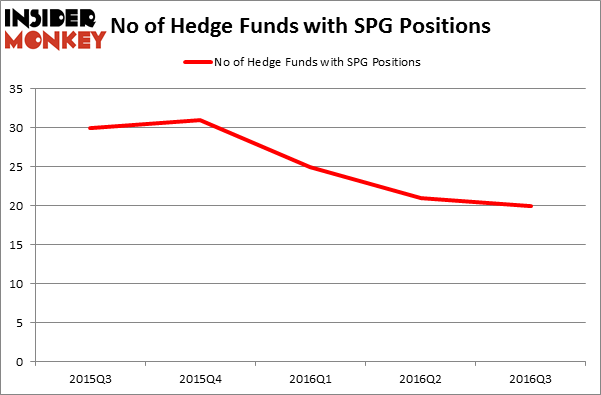 SPG was in 20 hedge funds’ portfolios at the end of September. There were 21 hedge funds in our database with SPG positions at the end of the previous quarter. At the end of this article we will also compare SPG to other stocks including Colgate-Palmolive Company (NYSE:CL), Texas Instruments Incorporated (NASDAQ:TXN), and Canon Inc. (ADR) (NYSE:CAJ) to get a better sense of its popularity. 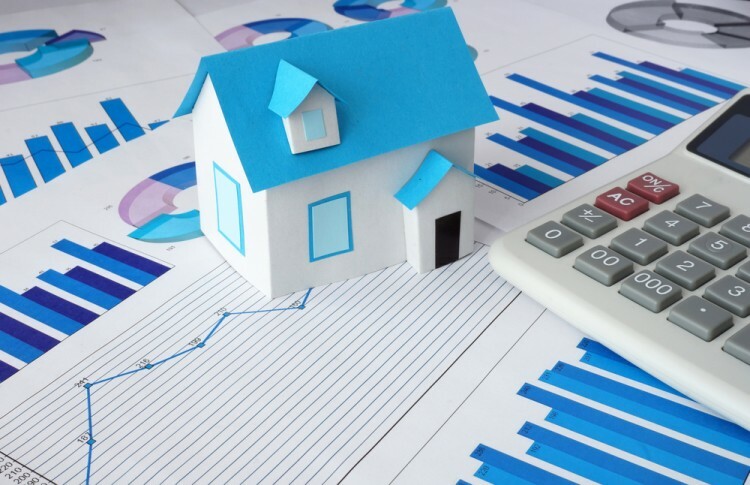 What have hedge funds been doing with Simon Property Group Inc (NYSE:SPG)? At the end of the third quarter, a total of 20 of the hedge funds tracked by Insider Monkey were bullish on this stock, a fall of 5% from one quarter earlier. On the other hand, there were a total of 31 hedge funds with a bullish position in SPG at the beginning of this year. So, let’s find out which hedge funds were among the top holders of the stock and which hedge funds were making big moves. According to Insider Monkey’s hedge fund database, Jeffrey Furber’s AEW Capital Management has the biggest position in Simon Property Group, Inc (NYSE:SPG), worth close to $536.4 million, comprising 11.2% of its total 13F portfolio. Sitting at the No. 2 spot is Cliff Asness’ AQR Capital Management, which holds a $122.9 million position. Some other professional money managers with similar optimism comprise Phill Gross and Robert Atchinson’s Adage Capital Management, Matthew Tewksbury’s Stevens Capital Management and Peter Rathjens, Bruce Clarke and John Campbell’s Arrowstreet Capital. We should note that none of these hedge funds are among our list of the 100 best performing hedge funds which is based on the performance of their 13F long positions in non-microcap stocks. How Big Lots, Inc. (BIG) Stacks Up To Its Peers Has Hedge Fund Ownership in Welltower Inc. (HCN) Finally Bottomed Out? Should You Buy BJ’s Restaurants, Inc. (BJRI)? Biotech Movers: Heat Biologics Inc (HTBX) And Achaogen Inc (AKAO) Is WebMD Health Corp. (WBMD) A Good Stock To Buy? Infosys Ltd ADR (INFY): Are Hedge Funds Right About This Stock?